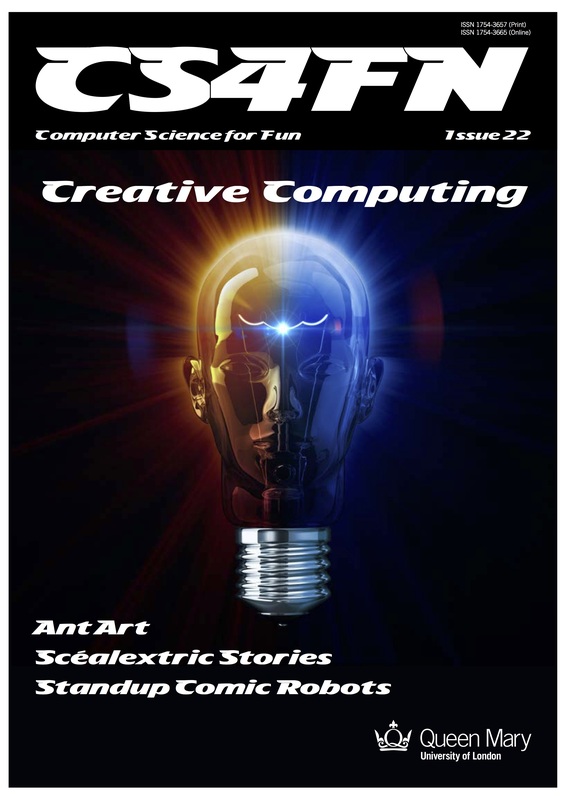 Issue 22 of the cs4fn magazine directs you to the web site for more on various articles. Find all the articles as well as linked extras below. Is it something only geniuses do? Would you let a robot tattoo you? cs4fn is edited by Paul Curzon and Peter McOwan of Queen Mary University of London, with help from Jo Brodie, Jane Waite and Sue White. This issue has been supported by the EU projects: ConCreTe (611733), Lrn2Cr8 (610859), WHIM (611560), PROSECCO (600653) and COINVENT (611553) funded by the European Commission, Framework Program 7, the ICT theme, and the Future and Emerging Technologies FET program. It has also been supported by the Mayor of London through LSEF project teachinglondoncomputing.org and the CAS Network of Excellence funded by the Department for Education. Autumn 2016.